Is there a better alternative to Bingo Match? Is Bingo Match really the best app in Simulation category? Will Bingo Match work good on macOS 10.13.4? Bingo Match was developed for players who prefer to use images (vice numbers) to play a bingo-like game. Each Game Set has 24 images with names. 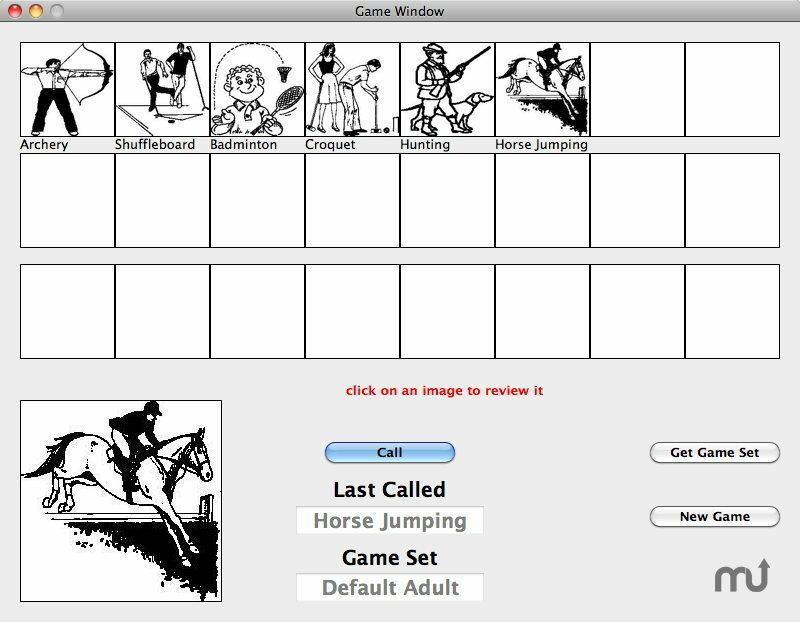 Two default Game Sets (Default Adult and Default Child) are included and you can make your own Game Sets. You can also make your own game cards. Bingo Match is $10 shareware and you can try the game in Demo Mode for ten minutes with each launch until registered. Bingo Match needs a review. Be the first to review this app and get the discussion started! Bingo Match needs a rating. Be the first to rate this app and get the discussion started!